Engr Femi Babalola, PDP Gubernatorial aspirant and founder of Jogor Center has expressed his commitment to the fight against sickle cell disease in Nigeria with a continuous donation of N2.5 million that would be disbursed annually (N500,000) to the newly inaugurated Sickle Cell Hope Alive Foundation (SCHAF). He made the donation yesterday (Thursday) at the inauguration of the foundation at the Trenchard Hall, University of Ibadan. 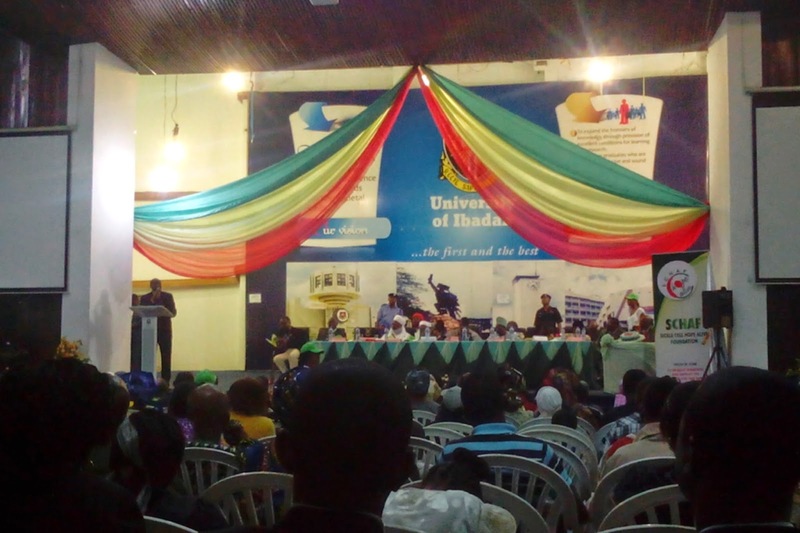 The event was attended by scholars, stakeholders and eminent personalities from across the nation, including the Vice Chancellor of the University of Ibadan, Prof Isaac Adewole, Nigeria’s former health minister, Prof Eyitayo Lambo, royal fathers, medical professionals, students, members of the general public and several others. Speaking at the event, the president of the foundation, Prof. Adeyinka Falusi stressed the need for all Nigerians to be aware of the genetics of sickle cell disease. “It is highly important for youths as well as people of reproductive age group to understand the genetics of sickle cell disease and know their blood group,” she said. She added that the diagnosis of the disease could be difficult and challenging for parents and children. “While many families adapt to these potentially complex situation, there can also be anger, anguish, guilt, self-blame, self pity and marital strife. “Such feelings are often accentuated in moments of crisis when there are associated medical complications,” Falusi said. However, she said awareness, education and genotyping are making it affordable and less difficult to identify sickle cell disease. My family every time say that I am killing my time here at net, except I know I am getting knowledge every day by reading thes pleasant content.